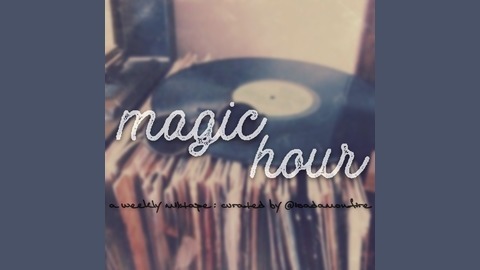 Every week @isadamonfire creates a mixtape that's inspired by that magical time of day, when day transitions to night and everything is right in the world. Welcome back to Magic Hour. This week @isadamonfire takes you on another musical journey inspired by that magical time when day turns into night. Tracks: 1. Radio Macbeth - Zapruder 2. Lost Sock - THEY SEE 3. Caleb Caldwell - Empty Eyes 4. Now, Now - School Friends 5. Frances Luke Accord - Tangled In Your Web 6. Phoebe Bridgers - Motion Sickness 7. Di-rect - Love In Kind 8. The Paper Kites - Holes 9. Ian Randall Thornton - Do You Rise 10. Geron Hoy - Lost In the Night 11. Dan Flynn - Across The Wire Please continue to support the artists by going to the site listed in the description and purchasing their music. Follow Adam on Twitter. 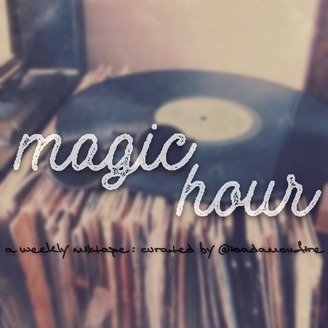 Subscribe to #MagicHour on iTunes Google Play, Stream on Stitcher or as always, listen on Spark Livestream.